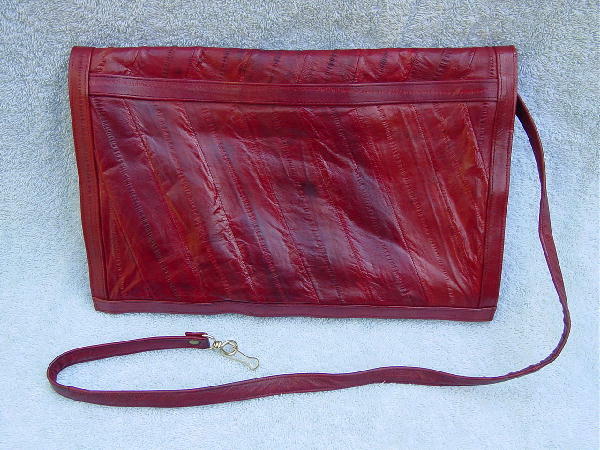 This vintage red eelskin purse has an envelope styling, and a detachable 28 1/2" eelskin strap which has gold-tone (closed) hooks at each end, so you can carry it as a clutch or have it hang from your shoulder. 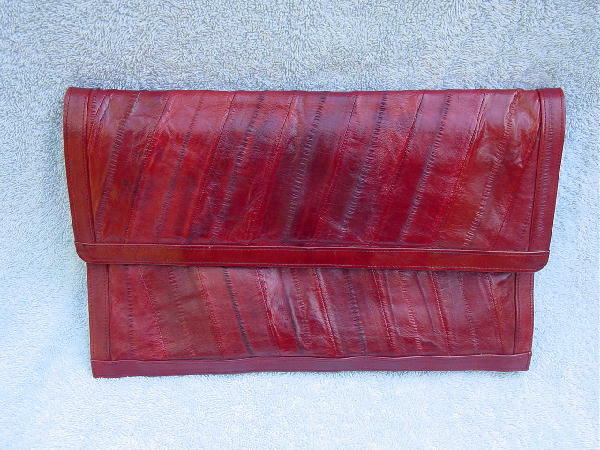 It has a magnetic snap front closure and five interior side to side sections, two of which zip. 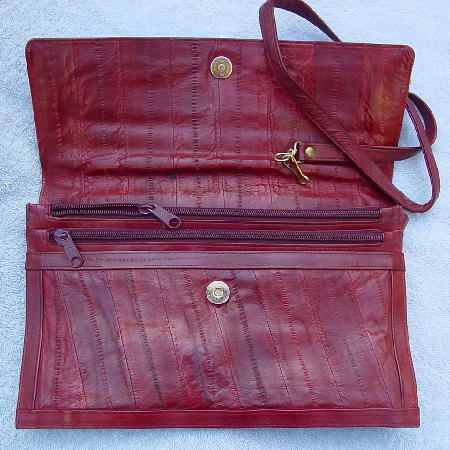 All the sections are lined in shiny wine color fabric.